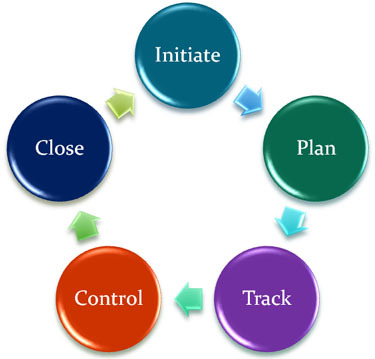 Initiate– The initiation phase involves project kick-off, review of requirements, staffing, team building, and setting up the project charter. This phase commences with iTek’s engagement. Project scheduling with milestones, Resource planning, Risk planning, Quality assurance planning, Configuration management planning, Stakeholder involvement planning, Metrics plan including identification of metrics/SLA. Track– iTek deploys statistical process control for tracking project metrics. A project management workbook (PMWB) is internally maintained to track all the tasks, their productivity, effort, schedule variance, defect density, review and test efficiency. Control– The controlling activities are segregated as preventive and corrective. This involves using past experience, organizational knowledge base and individual project management competencies to prevent occurrence of non-conformance. Close– The closure phase, completes the life cycle of the project, and involves knowledge dissemination, end user training, delivery of system/user manuals, and warranty support. © Copyright © 2015 iTek Solutions, Inc.
All Products and Trademarks are property of their respective owners.